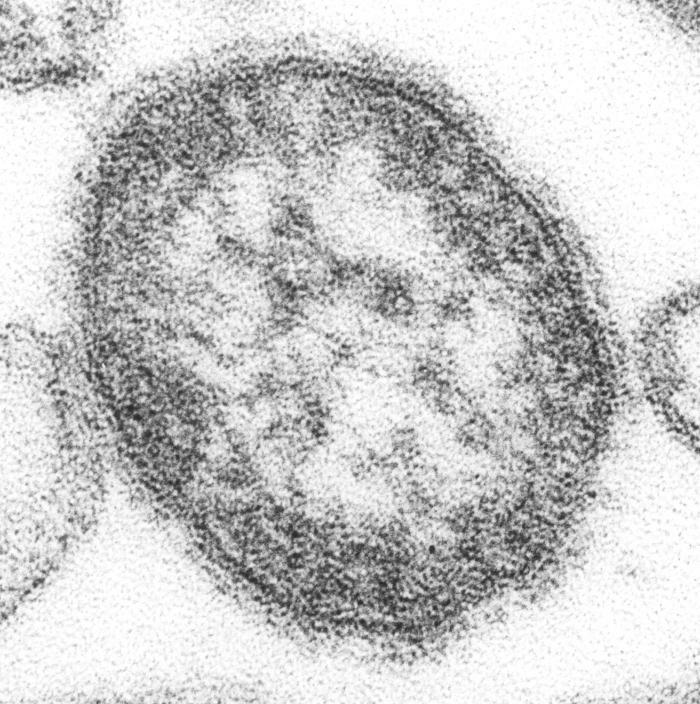 This thin-section transmission electron microscopic (TEM) image revealed the ultrastructural appearance of a single measles virus particle, or virion. The measles virus is 100-200 nm in diameter, with a core of single-stranded RNA. See PHIL 10707 for a digitally colorized version of this image. Content Providers(s): CDC/ Cynthia S. Goldsmith; William Bellini, Ph.D.